At Wit's End: Introducing "Twilight of the Gods"
Introducing "Twilight of the Gods"
"Long forgotten by man, the ancient Greek gods sit in squalor atop Mount Olympus, having grown weak from centuries without decadent sacrifices to sate their hunger and slake their thirst. Only clever Artemis can devise a plan to shepherd humans back to worshiping at their altar. Success requires driving mortals around the world to a dark place beyond faith and reason, a place that would find them open to extending…the Twilight of the Gods." This was a fun one to write, and one that I had been sitting on for a few years now. It's an interesting story about science, faith, and what it means to be a human in the 21st century. Full disclosure: this is being serialized every Wednesday on the Hunt to Read blog for free, but if you can't wait for the ending or want to contribute a few quid to the till, feel free to drop by one of the sites above and pick it up. If not, no hard feelings. 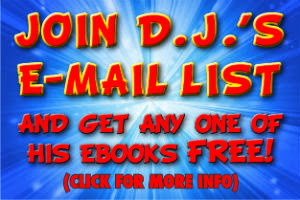 Tomorrow: How you can get Twilight of the Gods or any one of my other books absolutely FREE! Stay tuned...and thanks! 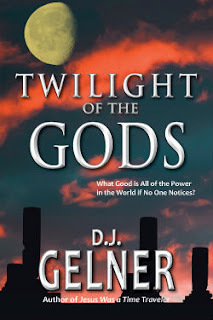 a lot of things in one blog.really awesome.stunning books collection.twilight of the God is just amazing.i finished almost half book.i would read all these books.thumbs up. Am I the only one that knows nothing about the book and will still read anything ? Should I Upgrade to iOS 7 with an iPhone 4?